We always go out on a date to celebrate our special day. Well, this year we decided to stay at home. HB just made it to Italianni's Restaurant to buy some prepared meals for takeout. 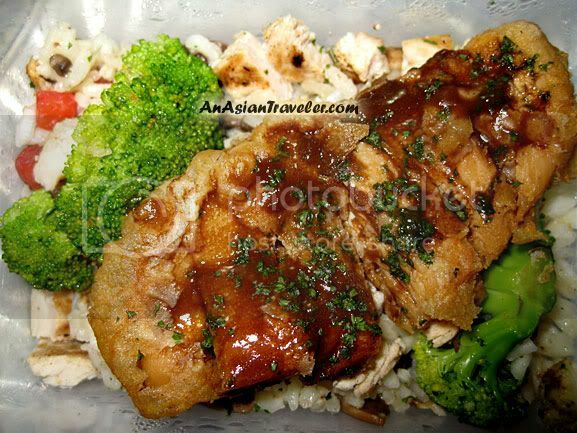 We enjoyed some nice main dishes like Chicken Marsala Risotto (an egg batter fried boneless chicken breast topped over rich vegetable marsala risotto). Also Grilled Pork Chops Au Poivre (grilled pepper crusted pork chop served over medley of roasted rosemary potatoes, crisp friend spinach, carrots and wild mushrooms in Marsala wine sauce). I like this one than chicken marsala risotto. 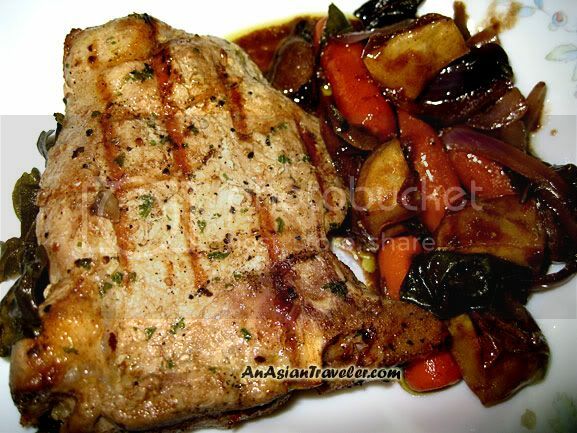 Love the juiciness of the tender pork chop and it tastes good. 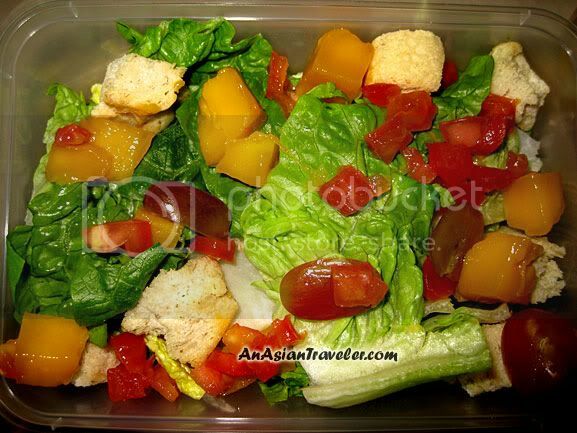 I texted HB for an additional order - the Sicilian Chicken Salad Lunch (diced chicken breast, mangoes, ripe red grapes, Diced chicken breast, mangoes, ripe red grapes with pine nuts, tossed in a creamy lemon-dijon dressing, served on a bed of crispy romaine). I'm not really a veggie person but this specialty salad is my particular favorite at Italianni's Restaurant. I love everything in it. Happy special day! Hope you both had a great time.